The collection offers many worthy entries. Rather than providing tidy solutions to the characters’ dilemmas, the stories focus on the feelings of entrapment and anxiety that go along with living a lie. This collection will resonate with many young adults who have their own secrets as well as readers who vicariously live through the risqué lifestyles of others.... A very discussible title for fans of Chris Lynch’s and Ellen Hopkins’s hard-hitting realistic fiction. 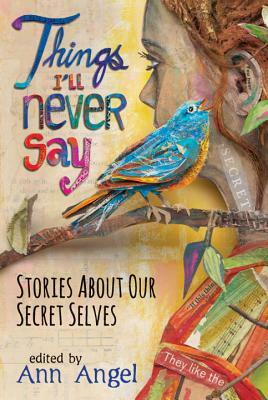 This new collection of short stories about secrets is an ideal combination of form and subject.... The balance and diversity that Angel has achieved here is marvelous, and nearly any teen who picks this up will find a bit of herself or himself—or at least a friend—inside these pages. A collection to treasure and share widely. The assortment of approaches to the theme of our secret selves offers plenty of surprises for the reader. Older students who are ready for more mature topics will find these stories perfect for opening a discussion or individual pieces just might reach someone struggling with the same secret.